Home » SEO » Does Your Business Website Need an SEO Audit? Is An SEO Audit Necessary? If you have a business website, sooner or later you will be approached by an SEO company to improve your website ranking. We all know that it is important for a website to have a high ranking on organic search results and those found on Page 1 or Page 2 receive more organic visitors that those found on later pages. It is therefore important to do everything possible to ensure the highest ranking possible, but do you really need to pay an SEO company to come in, look over what you are doing and fix any possible problems or should you first receive an SEO audit? 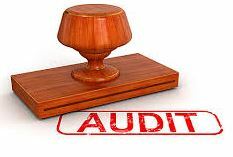 How Do You Decide If You Need an Audit? Is my website currently listed on Page 1 or Page 2 in search engines for my primary keywords? Yes or No. Is the bulk of traffic I currently receive coming from organic traffic? Yes or No. Am I currently receiving enough traffic that converts (purchases your product of service)? Yes or No. If you are using Pay-per-click is the amount spent small? Yes or No. Is your Pay-per-click traffic converting at a level to justify the expense? Yes or No. If you answered No to two or more of the questions above you should consider having an SEO audit conducted before deciding to contract for SEO services. An SEO audit can identify areas that you may be able to correct yourself or hire an SEO service. If you do not have the expertise to handle the work in-house, an SEO audit will provide you a detailed report of what you can then contract to have done rather than rely on an SEO company to decide what they feel needs work. This places you in the driver’s seat by knowing exactly what needs to be done. This can also aid you in being able to better negotiate a contract for services. What Should You Expect in an SEO Audit Report? If you decide to hire a company to conduct an SEO audit ensure that you receive a definite cost rather than a vague cost “based on what they uncover”. Take the time to search the internet for SEO Audit services and compare costs. An SEO audit should be able to be completed in 2-3 weeks at most. Remember that they are supposed to be experts and should know exactly what to look for. You should ensure that you will receive a detailed report of the results. The report should provide you a detailed listing of any problems noted, the reason that each item is considered important and should not be written in the language of an SEO. Finally, whoever handles your SEO audit should be willing to take the time to go over the report with you to ensure that you understand each problem and what is required to correct it.